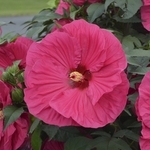 Hibiscus 'Summer in Paradise' truly delivers with its refined habit and attractive, large flowers and floriferous performance. Deep red buds open to 7-8” hot cerise red flowers. Medium green, maple-like leaves are accented by olive green edges. 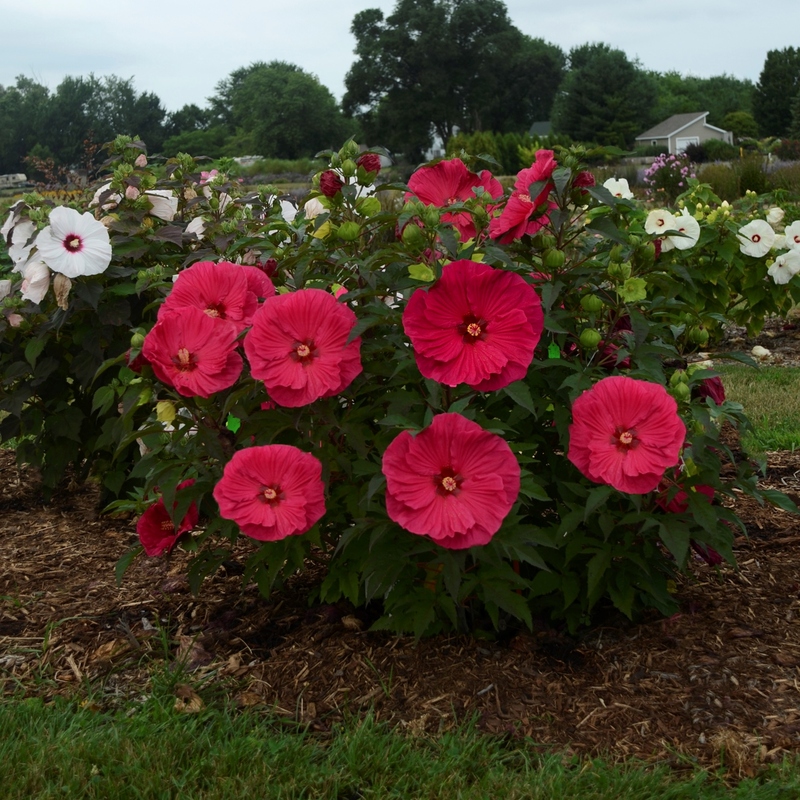 The large leaves quickly fill in the habit to keep it appearing full and refined. Flowers are produced from the top to the bottom of the plant, rather than only at the top like some older cultivars. Use in place of a shrub in your garden. PP#28730.